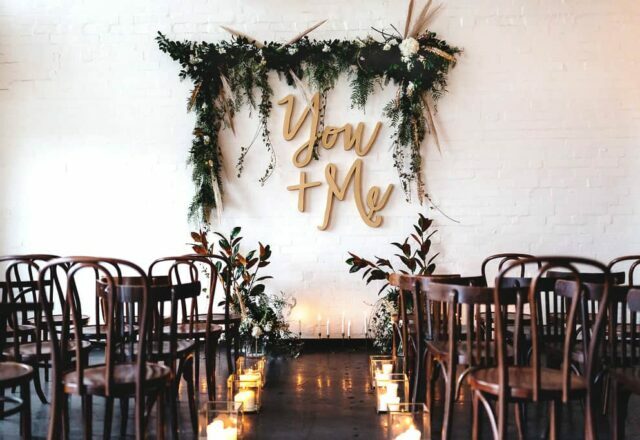 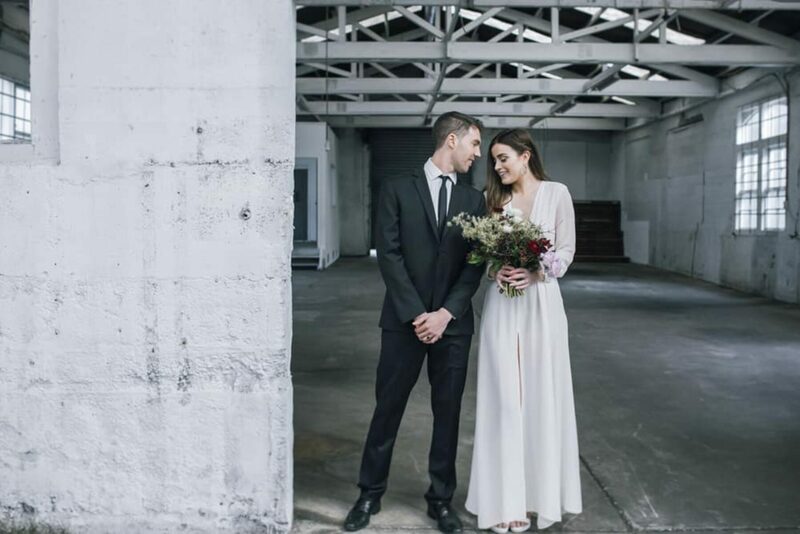 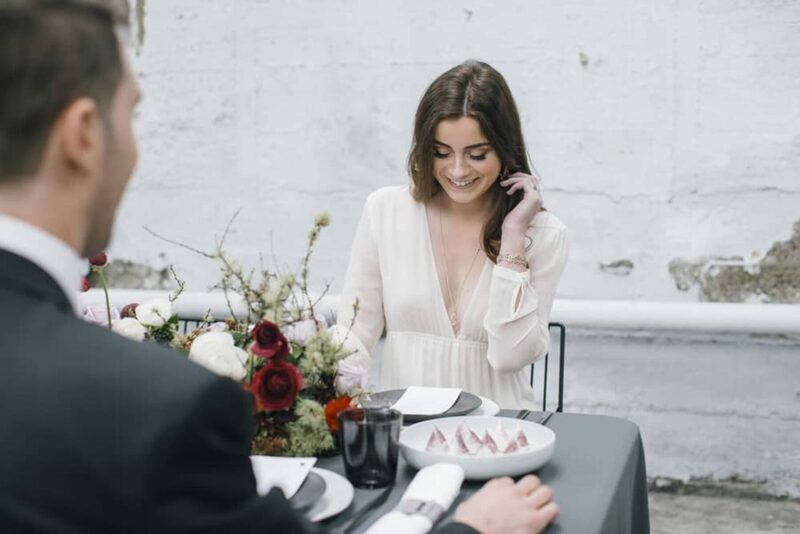 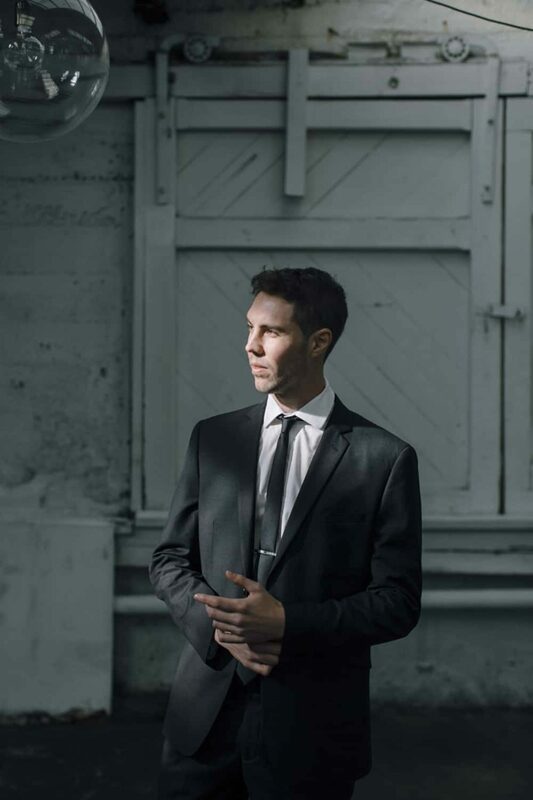 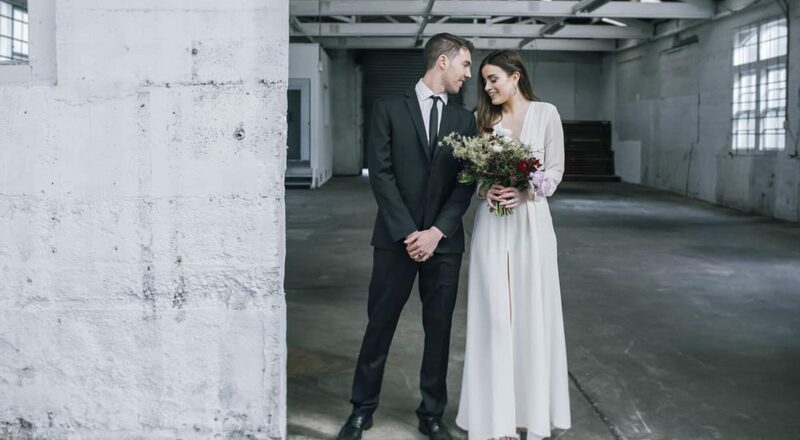 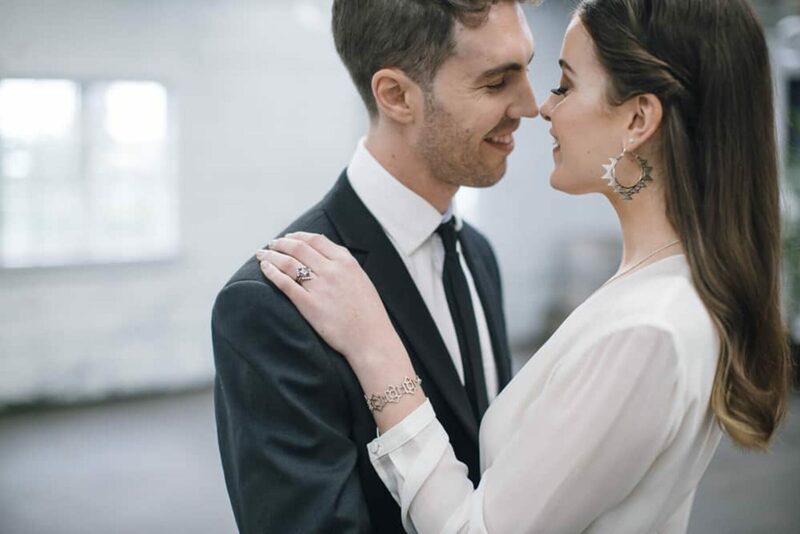 If you’re looking for ways to make your wedding as much about the groom’s style as the bride’s, then this industrial shoot at an Auckland mechanics warehouse might be right up your street. 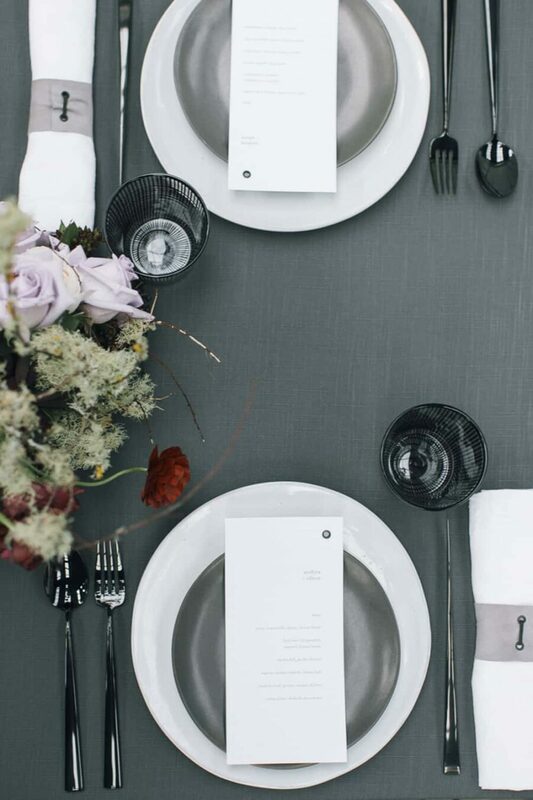 With its layers of grey, this setting created by Hollie Otene and photographed by Charlotte Christian Photography is bold, elegant and just the right amount of masculine. 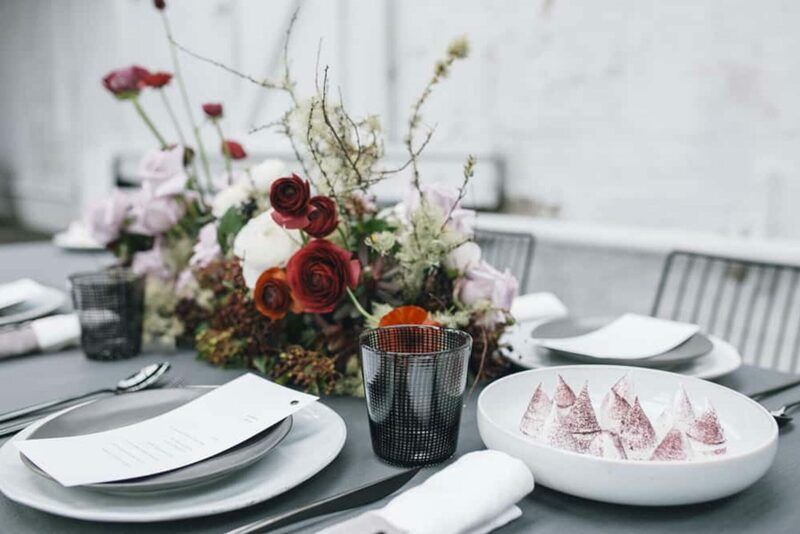 A classy and contemporary combination of wire chairs from Simon James, crockery from Nest, glassware from Citta and cutlery from The Studio creates the perfect non-traditional bridal table look. 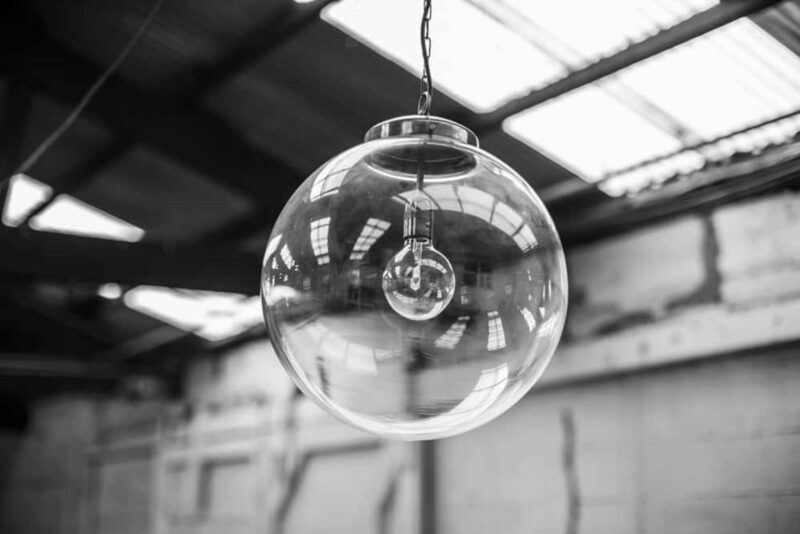 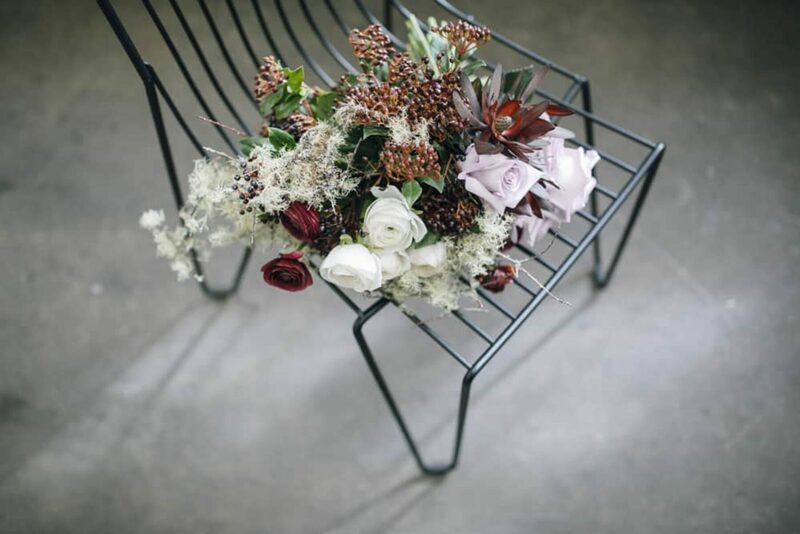 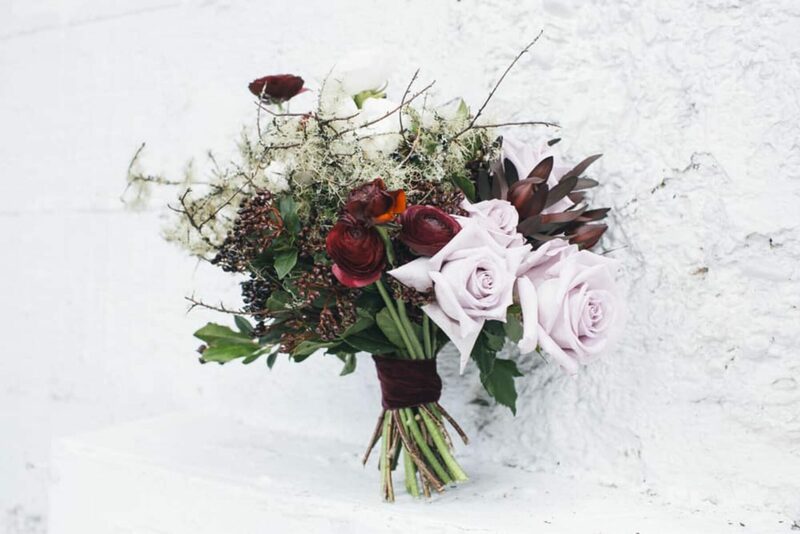 Florals by Blush pop against the greys to add some softness to the industrial backdrop of the old warehouse. 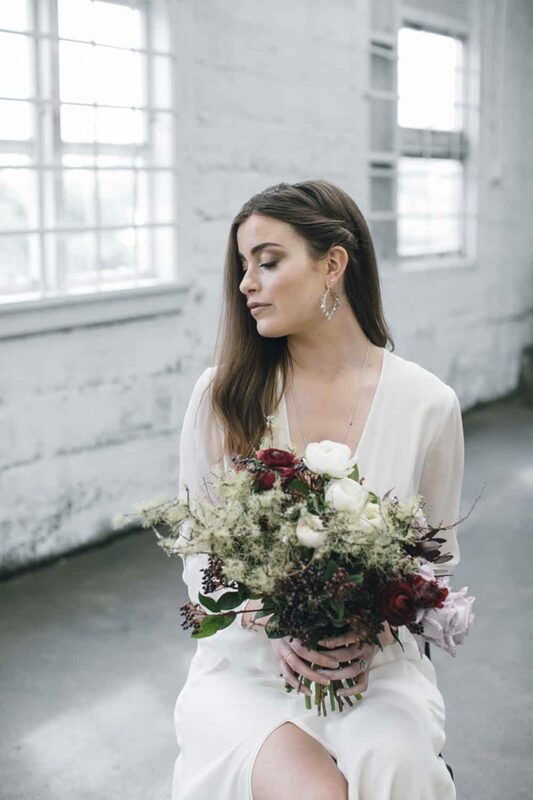 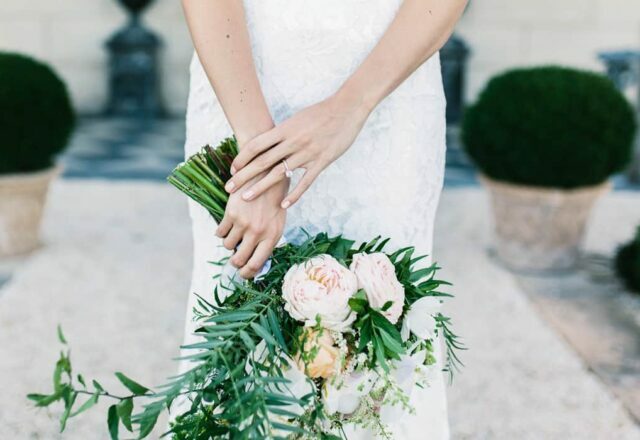 Dressed by Barkers and Juliette Hogan with jewellery by Zoe & Morgan, this glamorous pair is perfectly suited to the stylish surroundings. 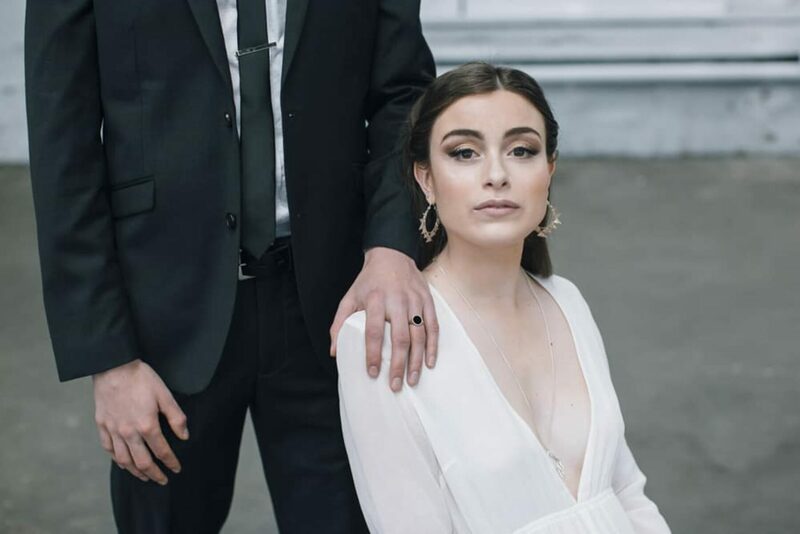 Hair and makeup by Guillermina Gentile accentuates this beautiful brunette’s dark eyes to complete her modern look. 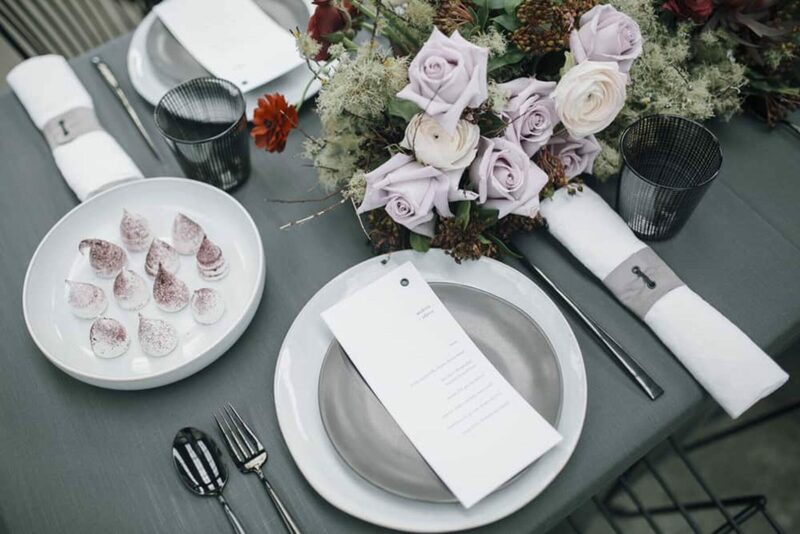 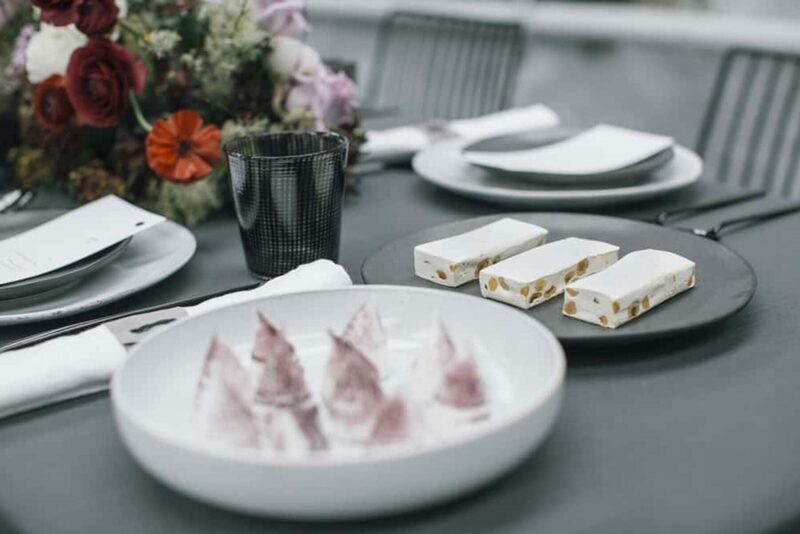 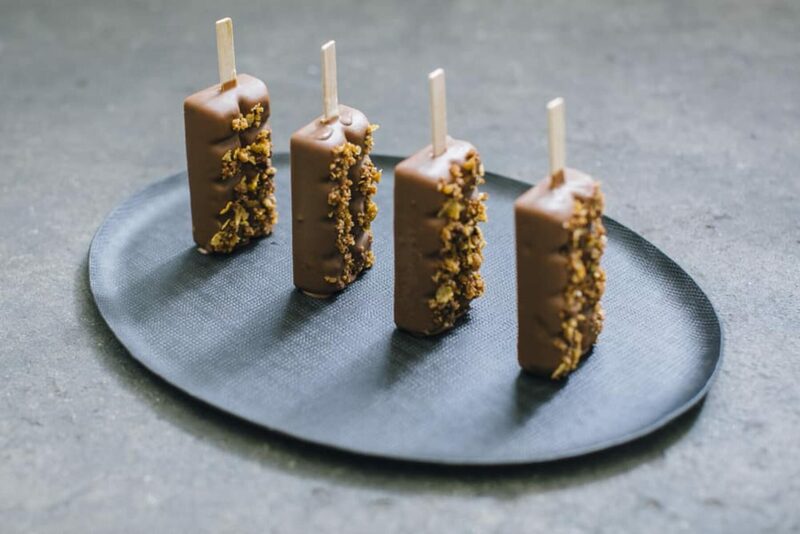 Finally, the sweet treats by Milse definitely work on the premise that you eat with your eyes – delicate and artistic, we’re sure there wouldn’t be any leftovers if these were on the wedding menu. 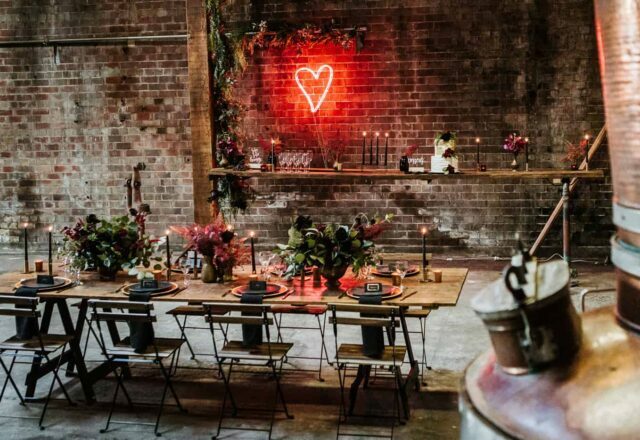 Excellent concept, especially for the setting; a great set of images! 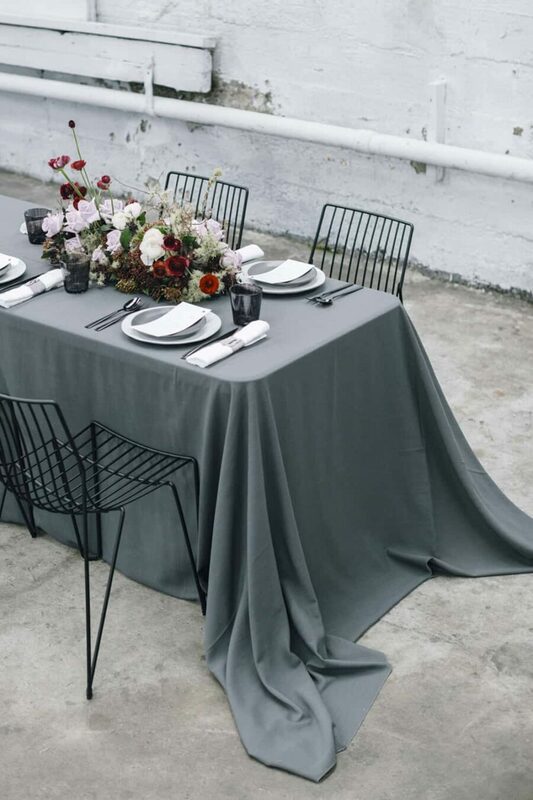 The concept is quite inspiring. 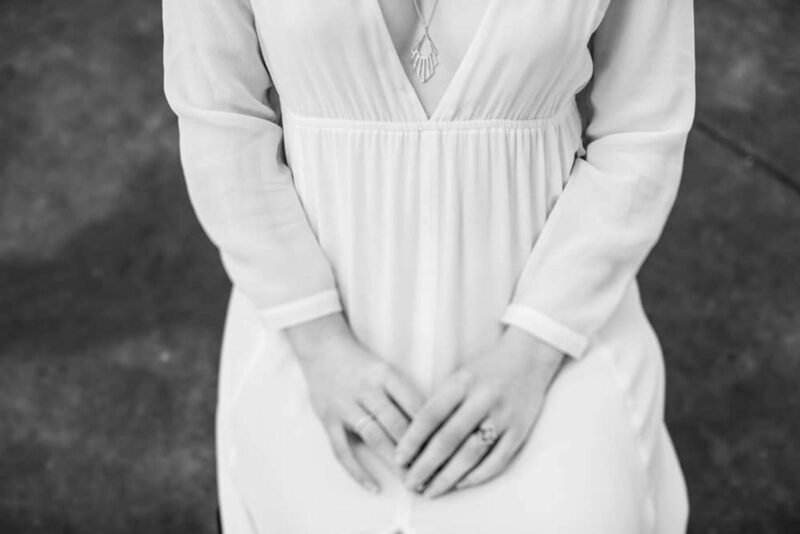 Very unique and simply beautiful. 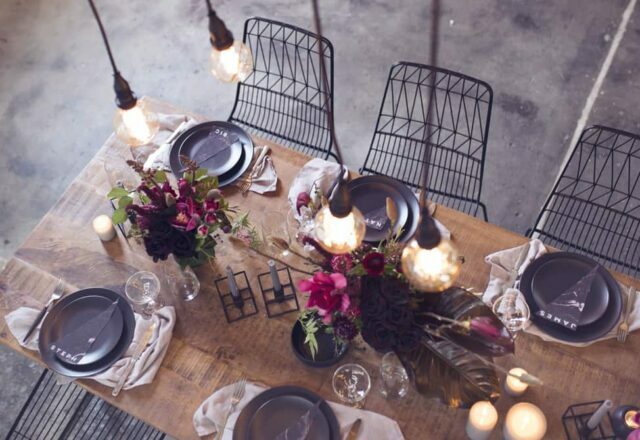 Love the table setting as well!